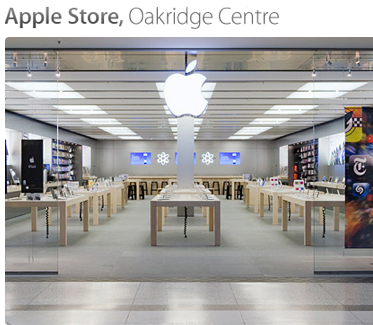 It’s no secret that Halifax is set to receive its first Apple Store. Earlier whispers of construction at the Halifax Shopping Centre near the Sears has hinted a store is coming, along with lots of locals talking about the store on the ground. 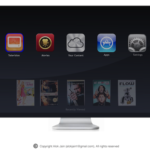 The store is all but unofficially confirmed. 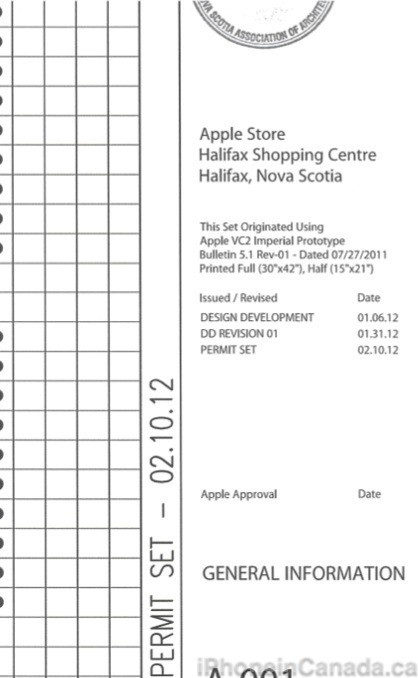 We have received some documents that detail more about the location and exact layout of the Halifax Apple Store. 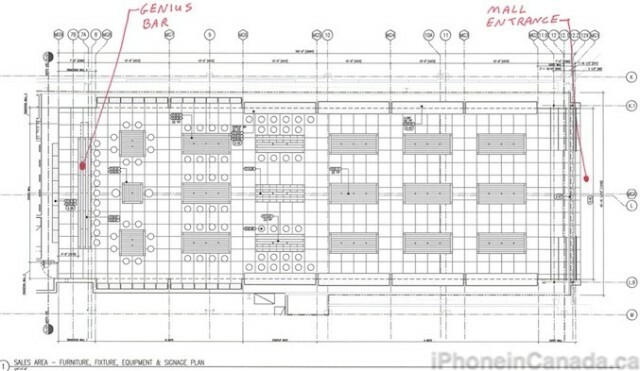 The store front will span 32 feet across according to store drawings, and the store layout will be rectangular in shape, similar to the layout of the downtown Vancouver Apple Store. The location itself is next to the entrance of Sears. 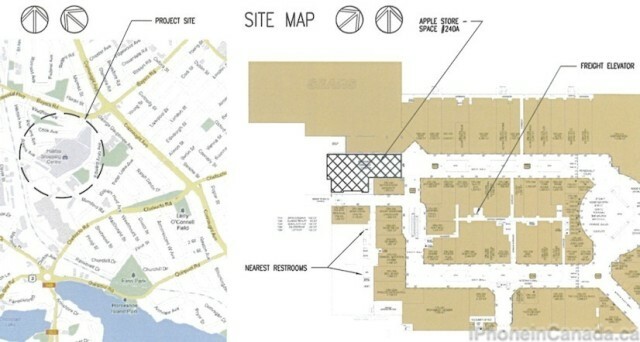 Currently, the second floor of the mall is under construction to extend the new retail space. According to our source, actual construction of the store itself will begin on April 1st, and is a 12 week project. 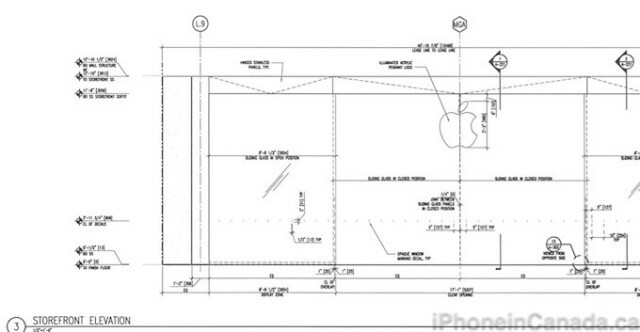 If all goes as planned, the store will be completed by the end of June, and we could assume a Fall launch would be in the works, possibly in time for the next iPhone?